Our manually operated window treatments have been installed in notable projects in healthcare, places of learning, and hospitality, as well as residential and commercial projects and national chains. We use high quality clutches and components. Our chain loop is T304 stainless steel with a tensile strength of 100 lbs, and we make the chain loop continuous and completely coupler-less for the ultimate in appearance and reliability. 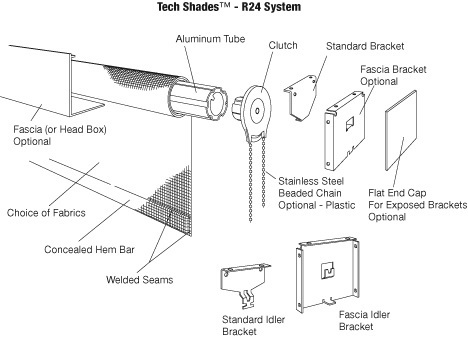 There are many reasons to choose manual shading solutions as they offer all of the solar protection and comfort benefits without the costs associated with motorization and wiring. Manual shades offer excellent light and glare control with an uninterrupted view to the exterior. 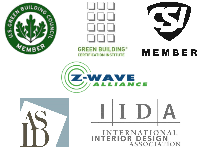 They protect furnishings from harsh UV damage, they add comfort and help to save energy. 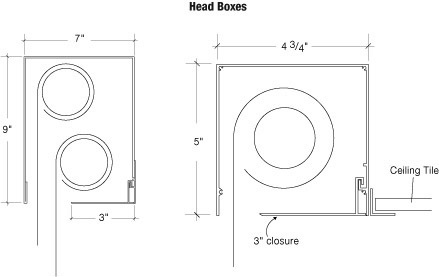 They are simple to use, easy to clean and are durable in all types of commercial or residential applications. R16 – Type 6 Nylon w/ 3 high strength carbon steel wrap springs. R24 – Type 6 Nylon w/ 5 high strength carbon steel wrap springs. R24 Spring Assist – Type 6 Nylon w/ 3 high strength carbon steel wrap springs. Galaxy – Type 6 Nylon geared clutch w/ 1.6 to 1 ratio for better lifting efficiency. Chain - #10 Qualified Stainless Steel is standard. Color chain is available. 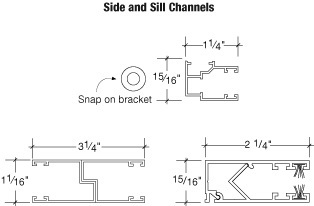 Brackets – Standard brackets are .125 thick steel ceiling, rear or side mount. 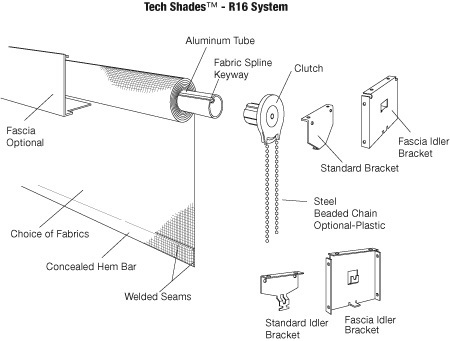 Tubes & Spline - SKYCO Shading exclusive die designs with key ways providing for simple field adjustability or changing of fabric bands. 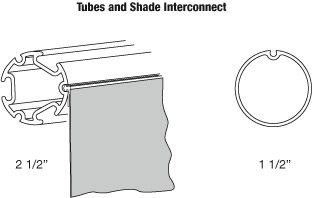 Soft PVC spline is welded onto shade band to affix shade to tube. 1 1/2” Tube w/ single spline key way in .065 gauge wall. 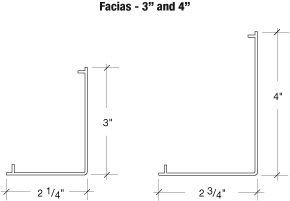 2 1/2” Tube w/ three spline key ways in .071 gauge wall. 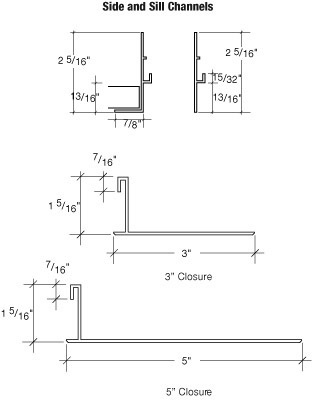 Hembar – Custom SKYCO Shading extrusion welded on 3 sides into hem pocket.